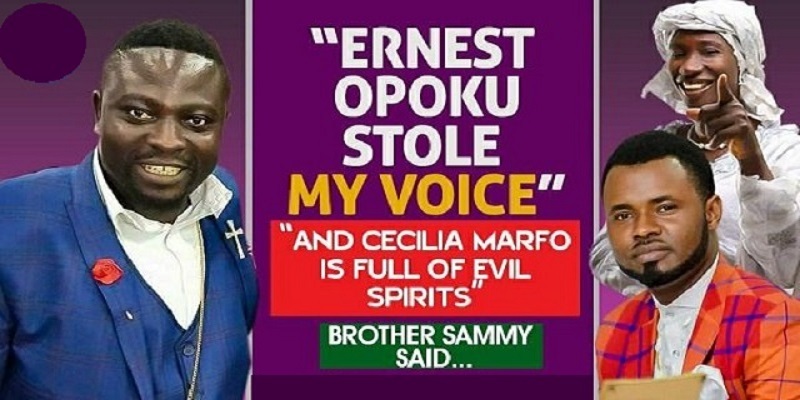 Gospel singer, Brother Sammy stated not long ago in a radio interview that another Gospel singer, Ernest Opoku wants to kill him. He added Cecilia Marfo equally supports Ernest Opoku with his intentions to kill him. Explaining further, Brother Sammy, the self-acclaimed “Nations Worshiper” revealed that the wife of Ernest Opoku (Now Ex) called and warned him to stay off Ernest Opoku because he wants to kill him. In an interview with Delores Frimpong Manson on the ‘Delay Show’, Brother Sammy reiterated his statement about Ernest Opoku and Cecilia Marfo. Brother Sammy further alleged that contrary to believe that he stole the voice of Ernest who came to the music scene before he did, Ernest Opoku rather stole his voice when they were both moving from church to church to sing. And since Ernest Opoku got a producer before he did, he came out with his voice. He added that that is the main reason why Ernest Opoku has been missing from the music scene ever since he started releasing his songs. 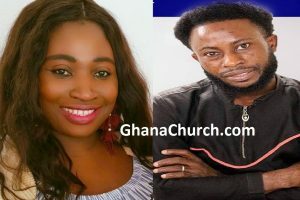 Touching on Cecilia Marfo in the plot to embarrass, disgrace, and kill him, Brother Sammy revealed that the video that went viral that Cecilia Marfo has delivered him from occultic spirits was a lie and that it’s rather Cecilia Marfo who needs deliverance because she is full of evil spirits. He further recounted how Cecilia Marfo trapped him and intentionally performed that act to give the impression she has delivered him of evil spirits.